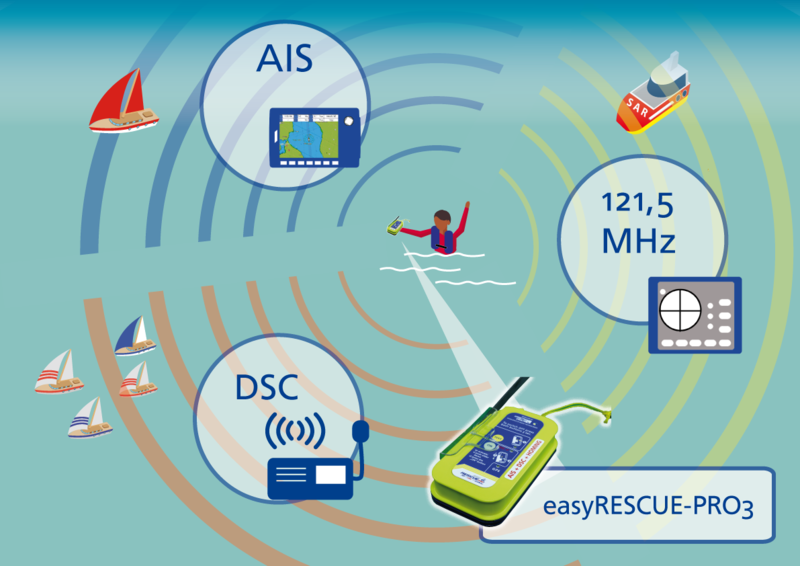 The new easyRESCUE-PRO3 combines the 3 most effective alerting and locating systems, AIS, DSC and 121.5MHz homing, in one unit – just to make rescue missions as fast and efficient as possible. Via AIS emergency message all vessels with AIS receiver aboard in the vicinity of up to 15 nm and more around the victim, including the mother ship, are informed about the distress situation. Updated every minute, this alert message contains current GPS position as well as COG (course over ground) and SOG (speed over ground) of the victim in a drift. These information enable every crew to assist with the rescue. 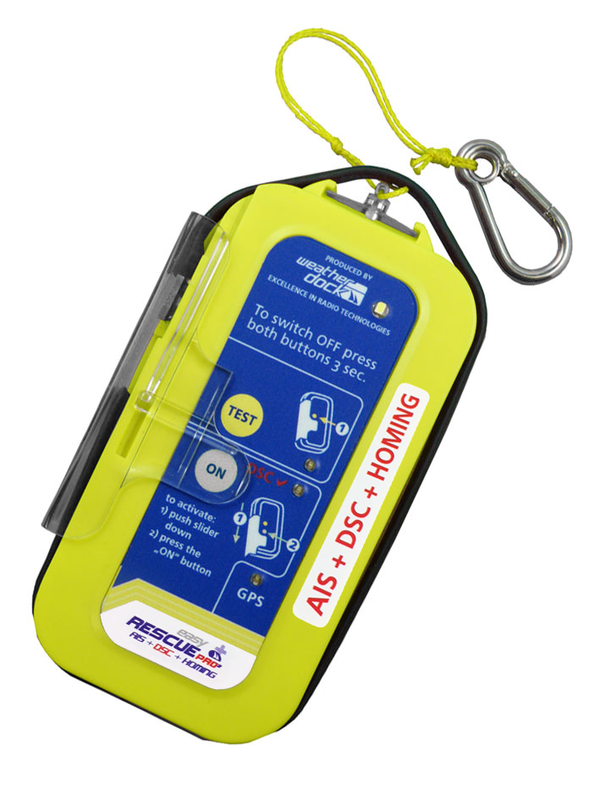 Via DSC distress call up to 8 different vessels get a first alerting call within seconds after the AIS MOB easyRESCUE-PRO3 was activated in closed loop. The MMSI numbers can be pre-programmed into the beacon. After the GPS fix is given, a second DSC distress call is send out in “closed loop”, containing GPS position of the victim. For the next 10 minutes the “closed loop” crews are able to acknowledge the incoming distress call. If the easyRESCUE-PRO3 receives no acknowledgement, the unit switches automatically into “open loop”, transmitting an “all ships call” to everybody into the GMDSS emergency network. This “all ships call” can be relayed by commercial vessels to forward the distress call to a coastal MRCC (maritime rescue coordination center) which are the sole stations to acknowledge the „open loop“. Via 121.5MHz a so called “homing signal” is transmitted. With the respective receiving and bearing equipment the right direction to the victim can be found out of 3 nm distance. In situation when there is “no sight” to the victim this technology comes up with a high benefit. The closer the vessel is to the victim, the more precisely the life-saving bearing can be done. The parallel activation of all 3 technologies is done automatically with rip cord and magnetic switch, as soon as the automatic life jacket inflates when submerged. The intended life jacket has to have a special pocket inside that was developed specially for the AIS MOB easyRESCUE-PRO3. Lenght 125mm, width 68mm, height 30mm.